A very quick post today. As you are probably aware, GW are going to be posting regular updates and giving hints about 8th edition of the coming weeks. Rather than post each day about each new update, I am planning to gather the updates into a weekly post in order to comment on them all at once. This will give me some time to put my thoughts together and provide some more substantial content. In addition, I am hoping to be back to regular hobby and battle report postings in the next few weeks as my arm starts to heal properly! Clear some room on that Bandwagon and get me my Soapbox! As many of you will be aware, a new edition of 40k is looming closely on the horizon. Many writers and bloggers out there are sharing their opinion on the rumours that have been published so far, so I thought I would share my own thoughts on what is coming for 8th edition. I actually really enjoyed 40k in 7th edition. Don't get me wrong, 40k certainly had its problems in 7th edition with rampant overpowered formations, psychic nastiness and invisible deathstars. I don't know whether it was simply the club environments that I played in during 7th, but I rarely came into contact with too much of the "nastiness" the last edition of the game (or Innes, as he was affectionately known 😏). As such, most of my games of 40k in the recent years have been highly enjoyable and have created many interesting battle reports and articles for the blog. The latest edition of the game also introduced one of my favourite ways to play it- the Maelstrom of War missions. Maelstrom games really were my favourite way to play 40k for the past few years. It really shook up what had become stale Eternal war missions where the aim of the game seemed to be simply annihilating your opponent so that they could not contest end of game objectives. I hope that the new edition of the game has a similar mission type. Over the course of 7th edition, I started three new armies (White Scars, Deathwatch and Genestealer Cults), so I must have been enjoying it in some regards. I know many players and bloggers have soured on 7th edition and I can completely see why, but I have continued to enjoy the game a lot over the past few years. I think it has helped that I have multiple different armies. 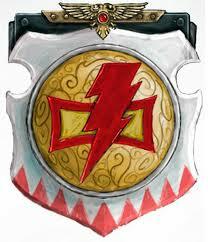 My Orks really suffered in 7th edition, but I always had my Guard, Dark Angels or White Scars to fall back on. For those players that only had one army, especially if it was amongst what is considered the lower-tier, I can see how un-fun 40k could become if you were getting stomped by much stronger armies on a weekly basis at the local gaming club. Equally, I am not one to be dragged kicking and screaming into each new edition. I eager anticipate each new edition of the game and am always interested to see what is likely to change. My evolution of 40k series has helped me to see how the game has developed over the years. Based on the rumours seen so far, 8th edition appears to be a sizeable shake up of the game, more akin to the change from 2nd edition to 3rd edition, than 3rd-7th have been. This is an exciting time to be a 40k player. Third edition is what go me in to 40k. The dramatic changing of the overblown ruleset to something much simpler was a breath of fresh air and led to a lot of excitement in the local community. Sound familiar? I am even more hopeful for 8th edition now that I know the team over at Frontline Gaming have been heavily involved in playtesting. Reece, Frankie and the gang really do care a lot about the game and are keen to see it grow even stronger in the future. As many of you may be aware, I am currently running a giveaway for my second birthday on the blog. You can win a FREE starter Genestealer Cults army (you only need to pay postage). 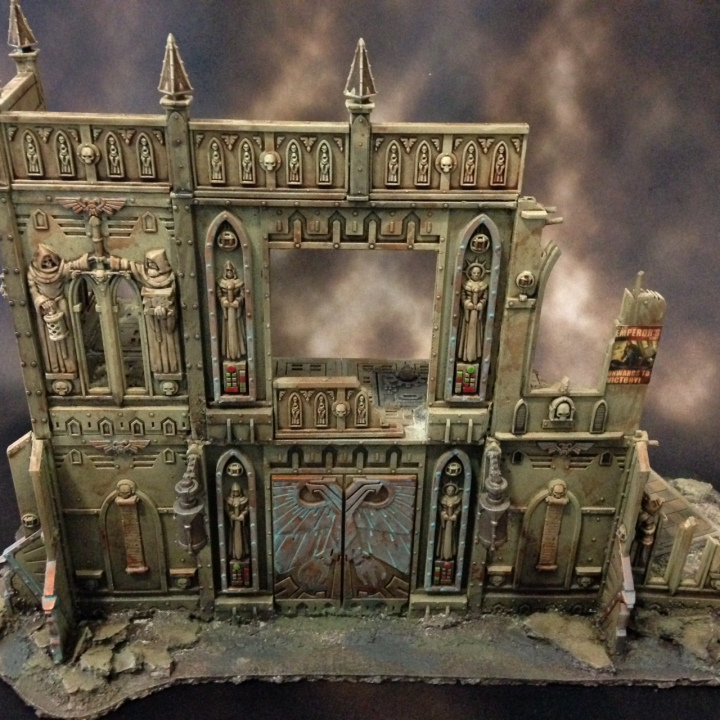 In case you missed it earlier in the week, I will also be giving away two of the old 40k card terrain as well. The response has been great for the giveaway. Below is a list of current entrants for the competition. If you think you have entered the contest and don't see your name below, please let me know so that I can fix it. 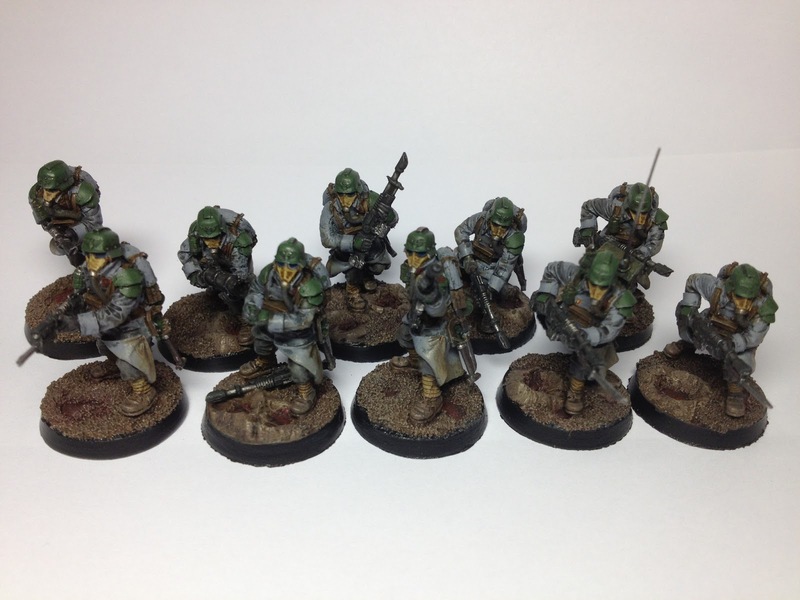 This week's Better Know a Blogger features Dave Mary from 262nd Death Korps of Kreig. I think that I first came across Dave's blog during the recent Squaduary hobby challenge. Dave had also committed to paint up a squad of Deathwatch Veterans, so it was immediately one to watch! He did a fantastic job putting together his squad, with great weekly update posts to show off a brilliant final squad. I think this is what brought my own Blog to Dave's attention. He has been a regular commenter since on my Deathwatch battle reports and hobby progress. Dave also took part in the Dreadtober challenge last year, where he completed a Deathwatch Dreadnought to add to his burgeoning force. More recently, he has been working on a stack of terrain and some fantastic objective markers for his games, as well as making a start on some Custodes. On the recent Old Stuff Day post, I showcased some of my existing 2nd edition card terrain that I have collected over the years. In the post, I lamented the elusive Imperial Bastion that had so far escaped my grasp. Shortly afterwards, Dave got in touch and offered to send me the Bastions and a bunch of other card terrain as well! His amazing generosity was very much appreciated! Here are Dave's answers to my questions. I can only speculate as to my true age at the time, but I recall my entry into gaming when my Dad brought home a D&D Basic boxed set (the edition with dice, not the original chit/counter set). I must have been in Junior High at the time in the early 80’s. It was D&D that introduced me to figure painting and I still have my collection of metal figures from those days. The game really needed the visuals, in my mind at the time. This led well beyond modelling to a full-fledged LARPing career, but that is perhaps a story for another time. Once I had massed a collection of fantasy figures, I wanted more rules for gaming with me. This led to Warhammer (I played Dwarves and last dabbled in Undead), BattleTech and ultimately to Warhammer 40K. While I enjoyed the early days of Warhammer, I found the number of models and mass unit movement tedious compared to the small unit tactics and smaller model count in 40K. I didn’t what to paint and game the lives of 40 spearmen; I wanted to paint and live the heroics of fighting champions! ﻿It is done! After many, many years, my collection now appears to be complete! A couple of years ago, I showcased my old second edition card terrain that I have been collecting. In the original article, I had just obtained a couple more of the kits (that are still waiting painting and assembly! ), and was only missing the old card Bastion. Now, I have the kit and my collection is complete. 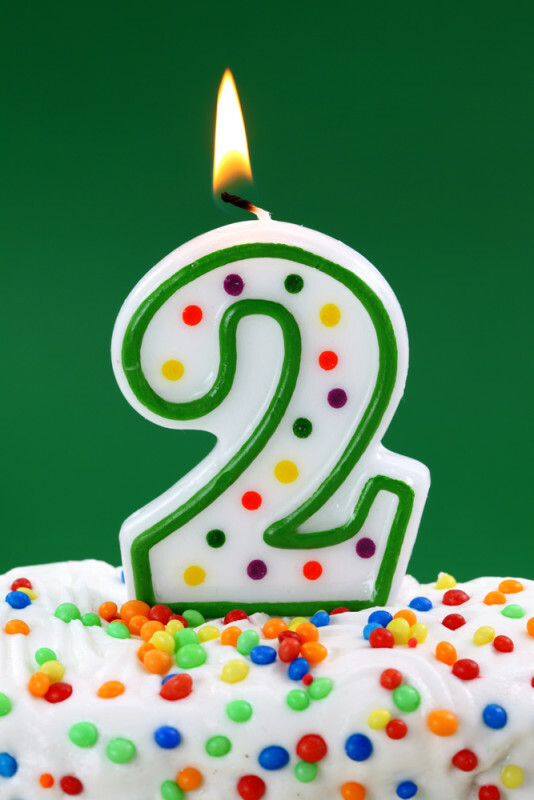 Last week, the blog turned two years old. Once again, a big thanks to everyone who takes the time to read, comment and contribute to make St Andrews Wargaming what it had become. I thought I would once again take a look at some of the interesting figures from the blog over the past year and give some of my own thoughts on how it is going. For those that are interested, you can check out the interesting figures from last year, along with my thoughts on blogging for my first year. We will start off with viewing figures, because as I have said previously, I am a vain, vain man. Sorry if this seems a big egotistical for anyone, I just thought it might be of interest for those that read the blog or for those just starting with their own hobby blogs. At the time of writing, the blog is about to hit 412,000 views. After my first year, I was sitting at around 120,000 views, so getting almost 300,000 views in a single year is mind blowing to me. I think a lot of this has been down to the sheer number of 40k releases that have occurred in the past year and my reviews of those releases. Codex and supplement reviews remain amongst the most popular articles on the blog and among the most popular Google searches that bring in traffic. 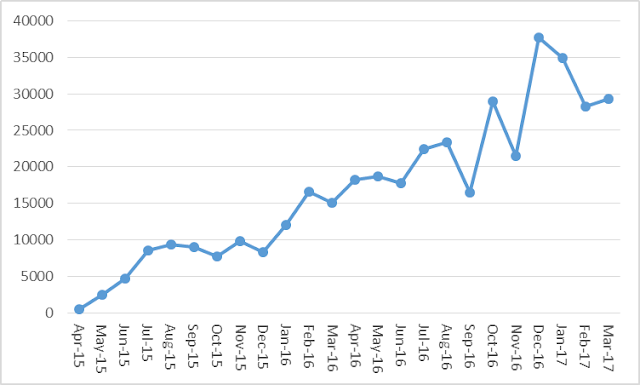 Looking at the graph, October 2016, December 2016 and January 2017 were amongst the most popular months for the blog. 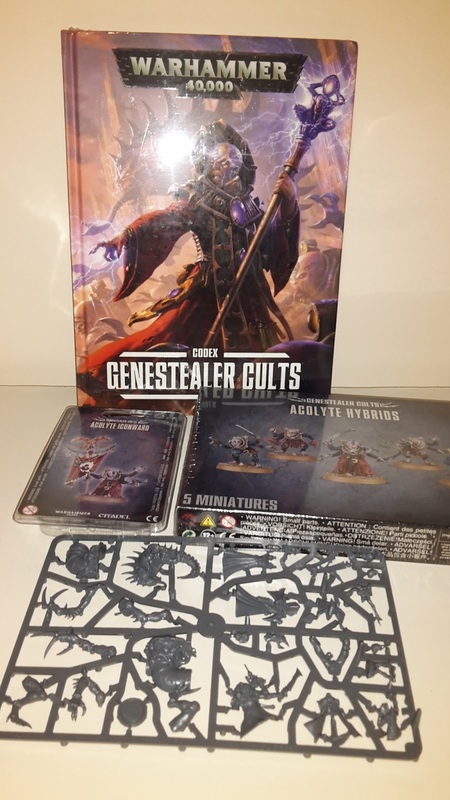 October saw my reviews for the new Genestealer Cults codex go up on the blog. This was a hugely popular release and saw a lot of traffic come in as people were keen to read more about this highly unusual army. December was the most popular month by far, bringing in almost 38,000 views. This is surprising, as it did not feature any codex reviews. It did feature a lot of Deathwatch hobby postings and battle reports. As a relatively new army, I guess a lot of people were looking for Deathwatch stuff. January also saw more Deathwatch posts, as well as the Fall of Cadia review. 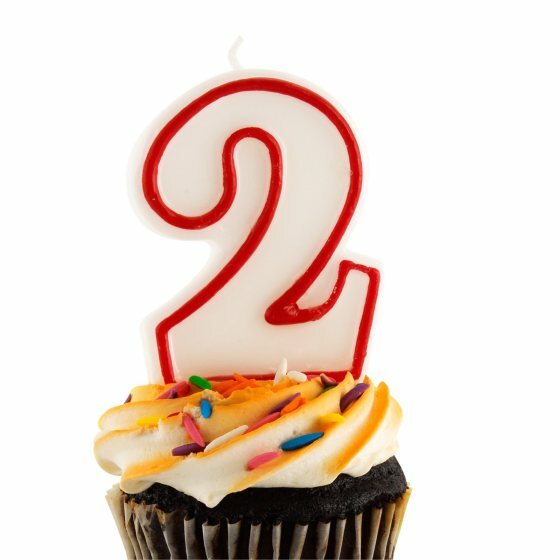 St Andrews Wargaming turns 2 years old today! It is hard to believe that this all started only 2 years ago, as so much seems to have happened since then. A big thanks to all the readers, commenters and contributors who help to make the blog what it has become. Also, a big shout out to all the friends that I have made through the blog, who I never would have met otherwise! I look forward to seeing many of you across the table in the coming year. I would particularly like to give a big thanks to Rob (30Kplus40K) and Nick (The Burning Eye) as fellow bloggers who have been big supporters from very early on and continue to push me to make the blog even better, as well as providing inspiration with their own awesome blogs. The next post will take a look at some of the figures and things I have found interesting over the past year. Also, don't forget about my Birthday giveaway, where you can win a Genestealer Cults army. 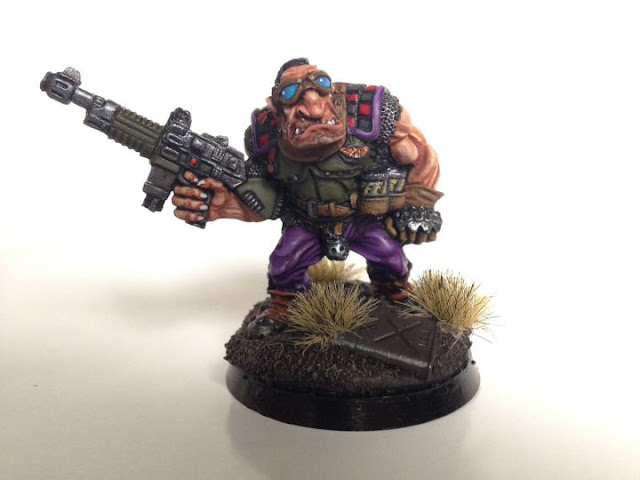 This week's Better Know a Blogger features Ed from Dark Future 30k. I first came across Ed's blog when it was highlighted by Rob over at 30Kplus40K. When Rob is envious of someone else's painting, you definitely know it is worth checking it! Even though Ed is only just getting started, there is plenty of great content already on the blog to check out. 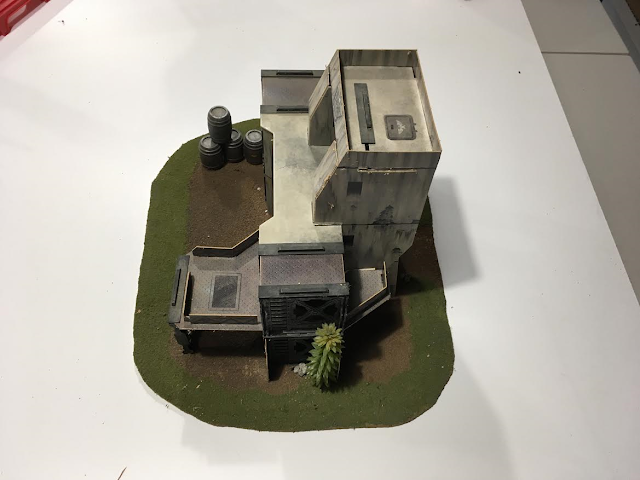 I am a big fan of his terrain posts. 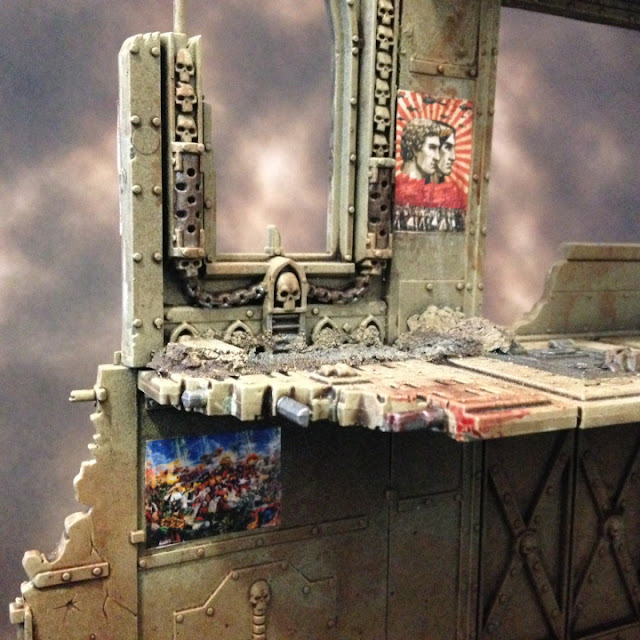 So far, they have showcased some really awesome pieces that really suit the 30k theme and aesthetics. Another great series of posts are his Throwback Thursday articles. 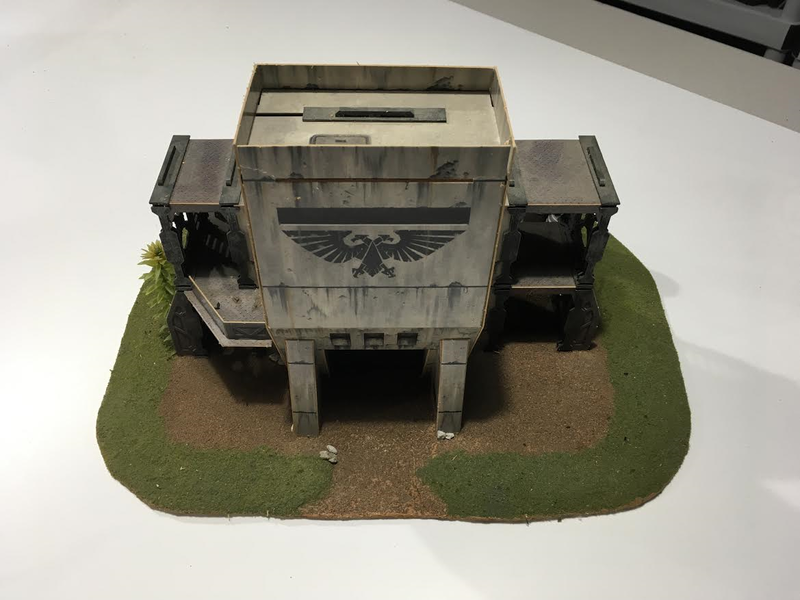 These take a look at some classic 40k miniatures, and Ed describes what he likes about each one. Check out his posts on Ogryns, the Predator and classic Land Raider. Here are Ed's answers to my questions. I was ensnared by GW in the mid nineties. My dad used to build model planes with me, so I was familiar with drab military kits and the smell of Tamiya oil based paints. On one occasion we were in a model shop and I was struck by the bright colours and esoteric forms of GW’s miniatures. We snigger at the ‘red’ era now, but it really made their miniatures distinct and appealing at the time. I still flick through Codex Imperialis, Wargear and the Rulebook from the Second Edition boxed set - possibly the finest Christmas present a ten year old me could have hoped for! As for the gaming part, that’s a relatively new development. I was getting interested right at the end of 5th ed, playing a few games here and there, then Dark Vengeance launched 6th and I was away! ﻿Eagle-eyed readers may have noticed a new tab at the top of the blog page; Blog Archive. I have been thinking about this for a while and decided to get it compiled. This new section was inspired by the recent Old Stuff Day post. While I think that the blog is fairly well organised in terms of finding reviews and battle reports, etc., there are many articles that can slip through the cracks or are more difficult to find. 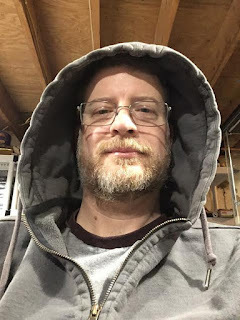 Due to this, I have created a page with a list of blog posts under a number of different categories, such as Hobby Posts, Editorials and blog achievements. Hopefully, this will make it easier for people to find more random posts, or act as a nice resource for those browsing for something to read. Welcome to the first part of a new series of posts on the blog, my very own Tactica articles. The first in the series will take a look at my main tournament army, the White Scars. This Tactica is designed to give you a look at how I construct and play my own White Scars tournament army, which units I favour and some of the tactics that I employ while using the army. This is not to say that this is the best style of White Scars army available, it is simply what I play and what I have had success with. If there are any tactics that I don't cover or something you think is missing, leave a comment and get the discussion started. Before we get into the bulk of the army, let me give you a quick overview. I have been playing the White Scars since the beginning of 2015, starting with the Chapter Tactics that were introduced in the 6th edition codex. I have taken them to 7 tournaments in that time, ranging from small events, to doubles tournaments, to larger national events. At tournaments, I tend to win about two thirds of my games (about the same as in casual play). As a result, I often place in the top third of the tournament listings, with my best finishing being second place at Stronghold V, a sixteen player 1250 pts tournament in Glasgow. I think I have a pretty decent tournament record, I have played and won some very tough matches, but have come up against better players who have stomped me at some events. My preferred tournament list has a strong focus on Bikes and MSU (Multiple Small Units). This makes it a great army for objective-based missions and maelstrom missions. My army can generally put out a lot of damage in the shooting phase, but can suffer in Kill Point-type missions as it tends to be made up of multiple, smaller, fragile units. This first article will take a look at the White Scars rules, my favoured builds for constructing the army and the HQ units that I favour in the force. Future articles will look at the other units in the army, some hints and tactics on using them, and a look at how to face different army builds in a tournament setting, and how to plan for different mission types. Some of this information may seem obvious to seasoned players, but it is useful just to put down all the info so that newer players can see where the army influences come from. NOTE: This competition is now closed! St Andrews Wargaming will be turning two years old in a couple of weeks. After the success of my first Birthday Giveaway, where you could win a free Battle Demi-Company, I have decided to do a similar giveaway this year. After some recent purchases, I found myself with an excess of Genestealer Cults kits. As a result, I am giving you the chance to win a Genestealer Cults starter army of your very own. Everything a growing cult needs to get started! All models are unassembled and unpainted, so are free for any scheme you wish to paint.